This Accutron watch is a fine example of the importance of reliability-engineering in wearable tech design. Employed for the timing of arrivals and departures by train conductors and technicians, this watch used a 360 hertz tuning fork to power the mechanical gears that turned the watch’s hands. 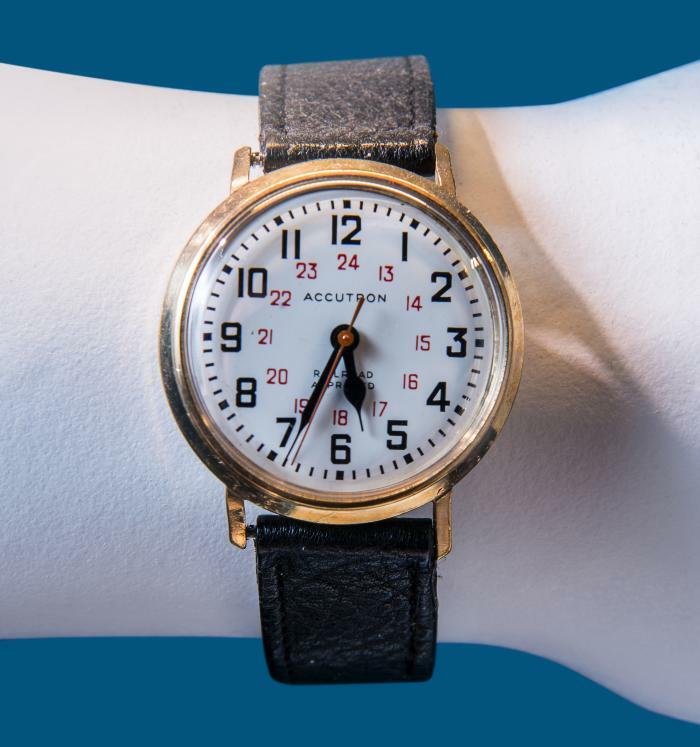 This approach ensured the Accutron would not be affected by excessive jerking movements that one might experience on a moving train, making it the first wristwatch deemed reliable enough to qualify for US railroad certification.